Over 500 Protesters in Minneapolis Slam FBI Repression of Anti-War and International Solidarity Activists | Fight Back! 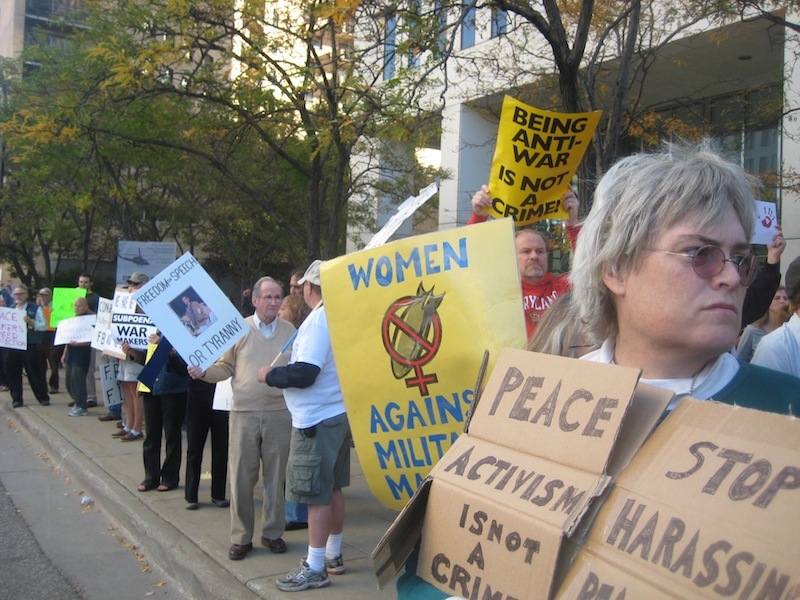 Minneapolis MN - On Monday September 27th, protests took place in cities across the country to protest the FBI raids carried out against anti-war activists. 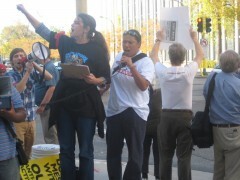 “From Colombia to Palestine, solidarity is not a crime”, chanted protesters in Minneapolis, where over 500 gathered at the FBI Headquarters to speak out against the FBI repression of organizers for social justice. Minnesota speakers included activists whose homes were raided, as well as representatives of the labor, anti-war and social justice movements. Speaker after speaker expressed support and solidarity with the fellow activists who had been targeted by the FBI. And each speaker angrily denounced the FBI's outrageous attempt to silence and intimidate anti-war protestors, or anyone who opposes U.S. government policies. “This is an attack on our ideas”, stated Jess Sundin of the Anti-War Committee, whose home was raided. “These actions by the FBI will not intimidate us nor will they silence us. I have traveled to other countries and have brought back the stories, pictures and experiences to share with everyone here. I have done this so that we can understand and see the consequences of our government’s military funding and intervention abroad. I have done nothing wrong. Standing up for truth and justice is not a crime!" Clyde Bellecourt, founder and National Director of the American Indian Movement, recalled the brutal FBI repression suffered by American Indians in the 1970’s during the occupation of Wounded Knee, and urged support for those facing the grand jury. The Minneapolis protest was part of a wave of solidarity demonstrations in over 20 cities across the country on Monday, from New York to Florida, and from Texas to California. 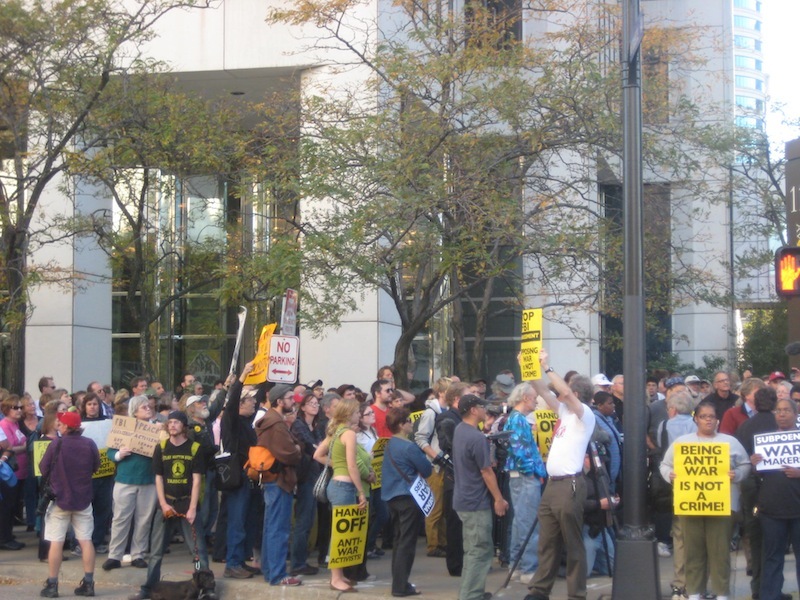 More protests against the FBI's raids on anti-war activists are expected this week.